This morning I got a mysterious gift in the mail. One of the students from the English Class I mentioned last time, sent it to me. It’s normal for people to send frozen goods by mail in Japan, but in Canada it rarely happens. So that alone was really fun for me. Sakura Pizza! And that’s not all, but Margherita and Genovese Seafood Pizzas too! And since they arrived right before noon, I decided I’d eat them right away for lunch! I don’t have a real oven, so I cooked them in my little toaster oven. But they still turned out nice. And I took those freshly grilled pizzas into my two hands and walked outside. 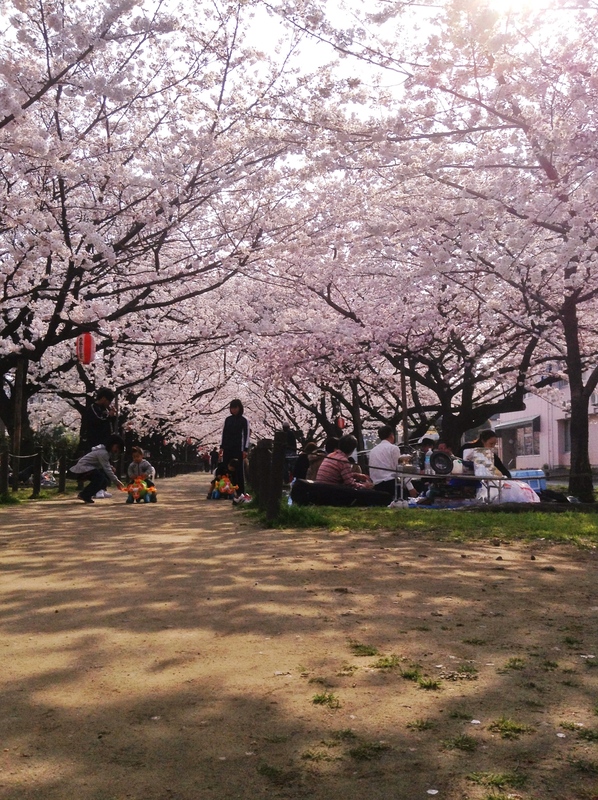 I wanted to eat Sakura Pizza while enjoying the blooming Sakura. Luckily, I knew a reallllly good place nearby. There were lots of people out enjoying the flowers! And the weather was so nice! I found a place to sit down, and tried the Sakura Pizza first! It… tasted like Sakura. (lol). It’s unlike anything I’ve ever eaten before so I don’t know how to explain it. Haha. It definitely falls into the “dessert pizza” category though. But it was really good! It’s exciting to eat something “new”, isn’t it? I’d eat it again next year for sure. I’d like to send it to some of my friends to try too next time. Not going to make any promises right now though. Haha. Did you see the sakura yet? Posted in Dining, Food, fukuoka, japan, Only In Japan, Tokyo, TraditionTagged さくら薫るピザ, グルメ, ミカエラ, ciaela, 石窯ピザ, 石窯ピザ 南風堂, 福岡, 花美, 英語, 食べ物, food, fukuoka, Hanami, japan, japanese, japanese food, Kyushu, Limited Edition, Micaela, Only in Japan, Sakura, Sakura Pizza, Tokyo, 南風, 南風堂, 日本語, 期間限定, 桜, 桜ピザ, 九州Bookmark the permalink. You posted a picture on Instagram and I was wondering what kind of pizza it was. I like how you made this simple moment more than just “let me cook the pizza and eat it on the couch.” A little transcending moment. Blog soon! I want to see many SAKURA.! Im gonna go up Vancouver tomorrow, so Do you have any recommendation for sightseeing? I love this season as there are so many limited sakura products. It seems cherry blossoms are in full bloom at many spots already, but not here in Western Kansai yet. 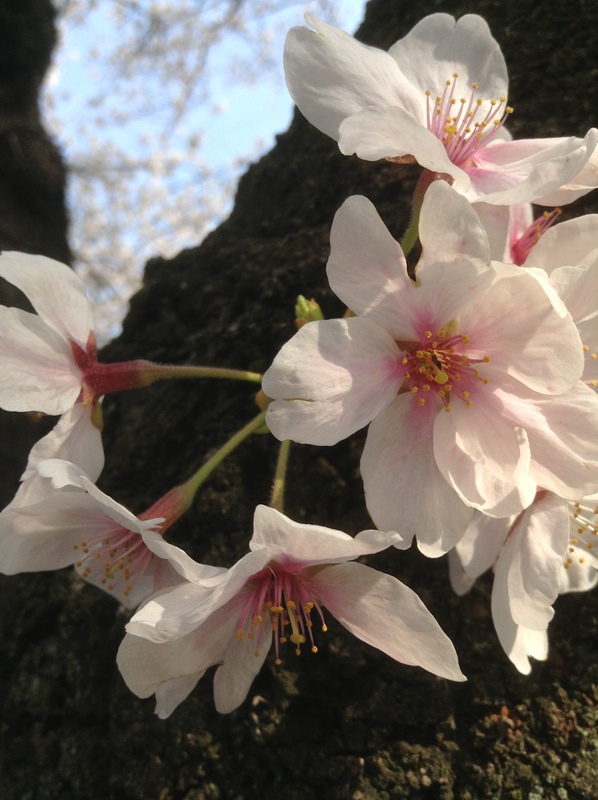 The most common yoshino somei type blossoms haven’t opened yet. Holy awesome. I have to try this. Oh, I didn’dt know that! Thank you for sharing your trip in Spain!Looks fun!